How Does Global Radiation Influence Surface Ozone Concentration? In seeking out explanations for the question: "How does global radiation influence surface ozone concentration ? "; the initial step to take is to have a basic understanding of global radiation. Global radiation is simply defined as the amount of direct solar energy still un-dispersed or unabsorbed including those, which have been scattered by a few degrees, plus the amount of solar energy that has been dispersed under a clear sky condition before reaching the Earth’s surface. By and large, the amount of solar energy that has been diffused makes up less than 10% of global radiation. This draws us to an understanding that surface ozone is influenced by large amounts of solar radiation or energy coming directly from a specific point source. What Comprises Solar Radiation or Solar Energy? The sun as the source of solar radiation is referred to in meteorological science as a blackbody. Blackbody as defined is an object that absorbs all inward bound radiation and emits in full-force all the energy in varying wavelengths and magnitude. As the energy is emitted by the sun, it contains fluctuating charges in the forms of electromagnetic waves traveling at a tremendous speed of light. Radiation is light by itself, thus it is also capable of being absorbed and reflected. Radiation is, in fact, defined as the procedure by which oscillating or fluctuating movement between electric and magnetic fields is scattered into free space, where a sparse quantity of atoms, molecules and particles exist. As solar radiation gets dispersed or transforms into diffuse sky radiation, it tends to affect other bodies in its path of direction. This is how solar radiation coming from the sun reaches the Earth. What is the Relationship Between Global Radiation and the Ozone Layer? As we progress towards our goal of comprehending how global radiation influences surface ozone concentration, let us delve into our knowledge of the structural arrangement between the sun as the source of global radiation, the free space where radiation is dispersed, the atmosphere that shields the Earth from the intensity of electromagnetic radiations and the Earth as the end recipient of radiated energy. Through scientific estimations, the Earth’s atmosphere was established as a uniform composition of different gasses: 78% nitrogen, 21 % oxygen, and less than 1% argon plus minute traces of carbon, hydrogen, neon, helium, methane, krypton, xenon, and ozone of about 0.03%. 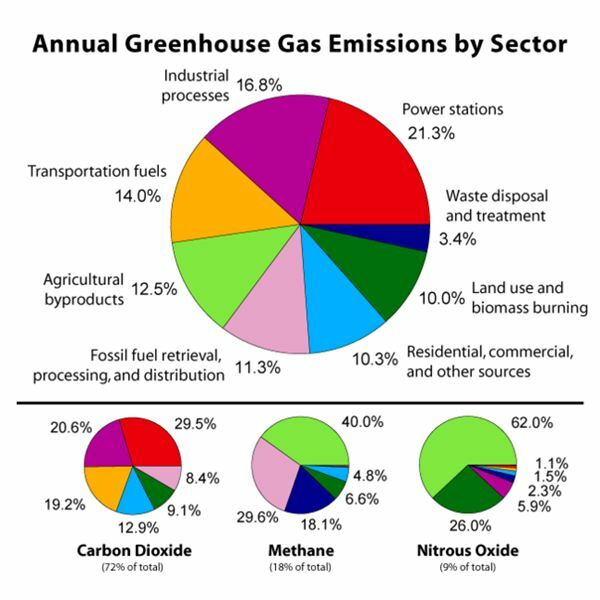 However, this was before and data has since changed due to the advent of the greenhouse gases. About 8.1 km from the Earth’s surface is the troposphere, where wind, water vapor and air pressure meet and form variables in the weather system, like hurricanes, typhoons and tropical storms. Just above the troposphere, is the lower layer of the stratosphere, which we all know of as the ozone layer and extends to about 50 kms of the stratosphere. This is where the ultraviolet radiation is absorbed as it serves to lessen the impact of the electromagnetic waves’ oscillating energy, before they hit the Earth’s surface. This section’s image illustrates how different wavelengths of global radiation that is dispersed in free space travel, and initially pass through the Earth’s atmosphere. The latter serves as a protective shield against the powerful oscillating energy of electric and magnetic fields. 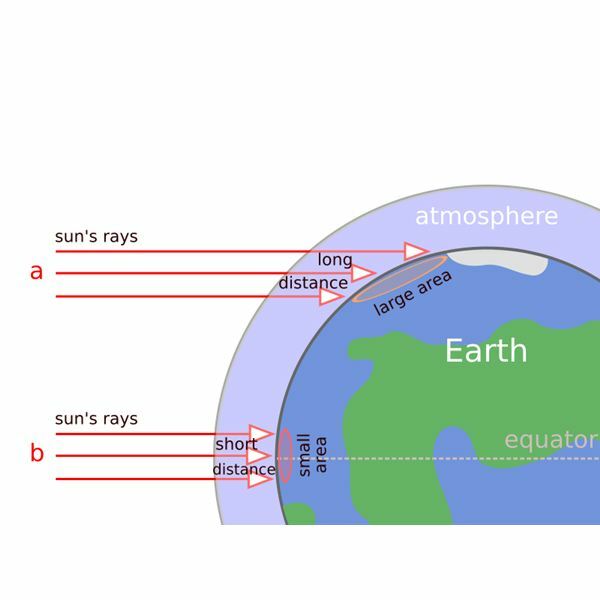 Without the blanketing effect of the atmospheric layer, Earth and its inhabitants will receive potentially harmful energetic rays in different wavelengths, and in the forms of ultraviolet rays, solar x-rays and gamma rays among others. There are several more atmospheric layers hereafter, making up the entire protective covering of our planet against global radiation as the atmosphere could extend up to about 700 kms from the Earth’s surface. This is quite important since certain natural processes require only the right amount of solar radiation to sustain an ecological balance. Bear in mind that the intensity of solar energy or radiation, is capable of breaking down matters into smaller molecules or atoms. 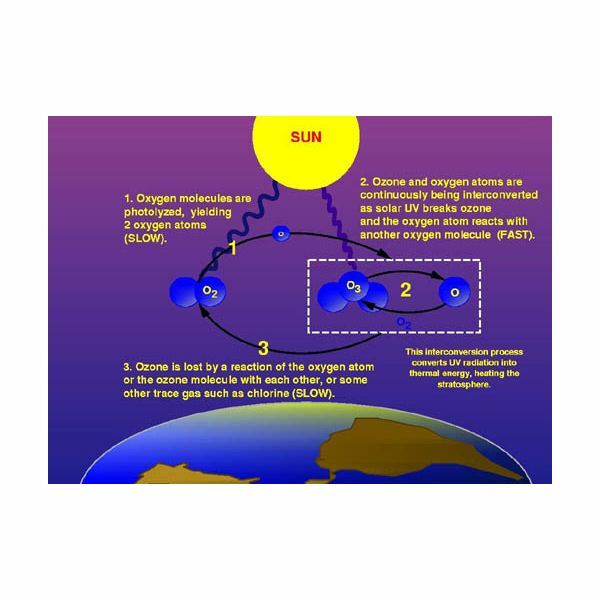 Continue reading on to the next page as the relationship between global radiation and the ozone surface is illustrated and explained. Study the image as it illustrates how the ozone layer is formed once ultraviolet radiations break down ozone gas. The broken down compositions are molecules of oxygen and these molecules are subsequently transformed into oxygen atoms. Thus the oxygen atoms make up most of the lower or ozone layer of the stratosphere. However, oxygen atoms become lost if they interact with each other or with some other forms of gas, which used to be sparse. Global radiation influences the surface ozone concentration as far as the process of breaking down of ozone gas into oxygen atoms is concerned. This is one reason in particular why this particular layer is important, since it tends to absorb the harmful UV rays. The process of UV absorption will result in more oxygen atoms that form the ozone concentration of the stratosphere. It is unfortunate however, the manmade chemicals like the Chlorofluorocarbons (CFC) used in aerosol products rose to the atmosphere. They were carried by clouds formed through the water vaporization process that occur on the Earth’s ocean surface. The atoms of these substances and other greenhouse gases continued to fill the ozone layer. This then caused the subsequent depletion of oxygen atoms needed in ozone concentration formation. 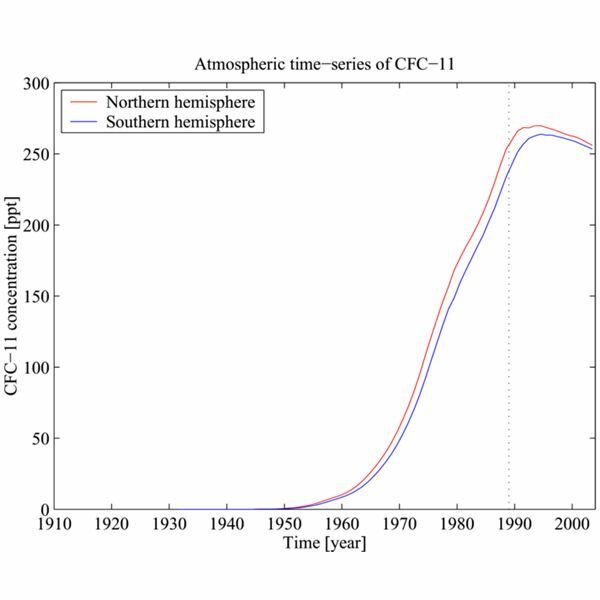 The graph on your left shows the increasing occurrence of CFC in the atmosphere while the pie image illustrates the proportions of other greenhouse gases that have become part of the ozone layer. The gases contribute to the loss of oxygen atoms as their content levels in the atmosphere have increased. One may think that if the UV rays of global radiation influence the breaking down of ozone gases to form oxygen molecules, there shouldn’t be any problem since solar energy is abundant. However, scientific scholars have discovered that there is a balance between global radiation entering the Earth’s atmosphere and thermal heat produced by the Earth’s surface due to solar radiation. This is called the Earth Radiation Budget. What is the Earth Radiation Budget? 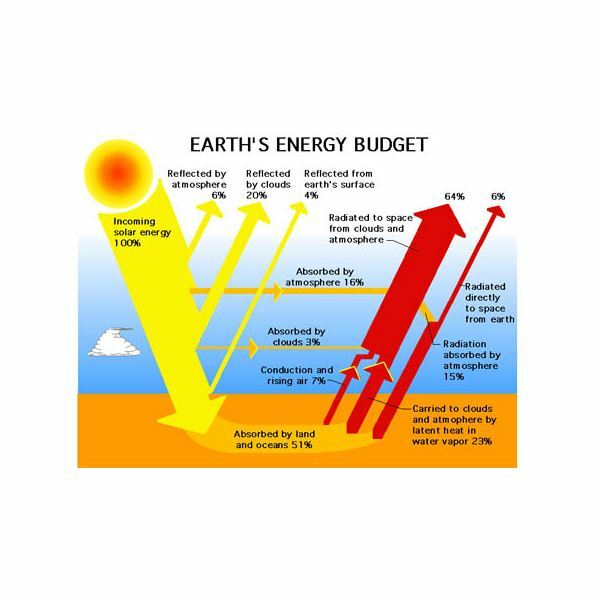 Accordingly, the amount of solar radiation could be quantified, wherein only 16% of the solar radiation that enters the Earth is absorbed by the atmosphere, owing to the natural orbit of the planets around the sun. This is the usual proportion of solar radiation absorbed by the ozone surface and will be radiated back to space as it meets with the rising thermal energy. 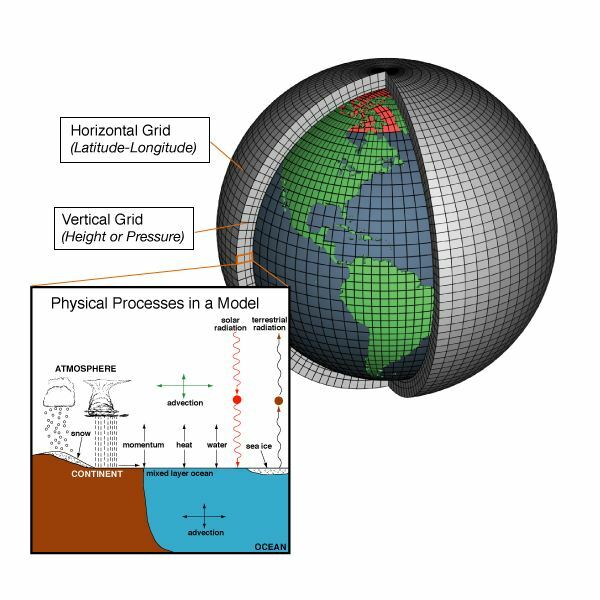 Click on the illustration on your left for a larger view of how global radiation is distributed as it enters the Earth. Fifty-one percent (51%) is absorbed by geographic land and the ocean, and it will go back to free space in the form of rising thermal energy. Thirty percent (30%) is reflected by the atmosphere, clouds and the Earth’s surface while the remaining 3% is absorbed by the clouds. Hence, if the level of global radiation on surface ozone concentration is constant, then the rapidity by which greenhouse gases deplete the oxygen atoms cannot be matched by the rate of ozone gases converted into oxygen atoms by the UV rays. Ozone depletion has become rapid and increasing while ozone formation is limited. It follows that the protective capabilities of the surface ozone concentration have been impaired. The effects have been devastating as intense radiations, coming directly from the sun continue to disrupt ecological balance through loss of habitat, depletion of natural resources,soil degradation, ocean acidification, crop destruction, human health disorders, and climate change, just to mention a few. Perhaps, the problem about greenhouse gas emissions affecting our environment will be taken seriously, by those who still doubt the depleted state of the ozone layer and how its protective capability has been largely affected.